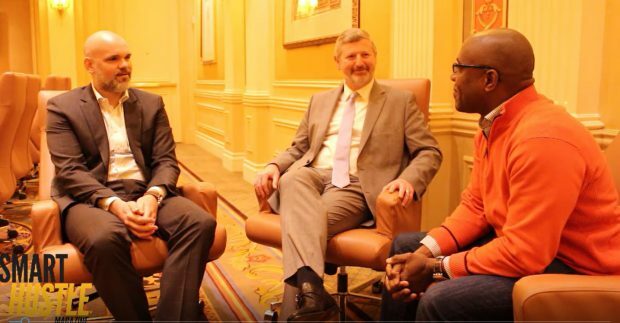 At SuiteWorld 2018, NetSuite's annual event for partners and customers, I interviewed Jim McGeever (President, NetSuite) & Jason Maynard (SVP Marketing, NetSuite). The big question I had was, when is it time to use (or invest in) an ERP platform such as NetSuite. Watch our interview and read the full summary below. As early as possible, advised, Jim and Jason. Some companies say they're too small for an ERP solution, then when they start to grow, they have to upgrade. If they had ERP from the start the growth process is much smoother. Many companies find that as they starting hiring people and start to do things internally, that they used to outsource, it's time to consider ERP. When you have multiple applications and find you're working on spreadsheets more than spending time with your customers or creating products, it's time to consider ERP. Another indication is when you open a second location or make a major new hire, such as a senior executive. We also touched on the importance of ecommerce and selling online, which NetSuite helps companies do as well. NetSutie's stats show that companies who are selling online are often growing much faster than those not selling online.